The original version made with just Bowser replaced with Bowsette and other minor changes. See Crowned Edition for all other enemies to be Super Crowned. 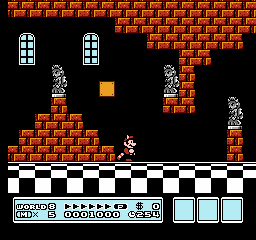 Works with both SMB3 (USA) and SMB3 (USA) Rev A versions. Oh yes, and I posted on here a version where ALL the enemies are Super Crowned!